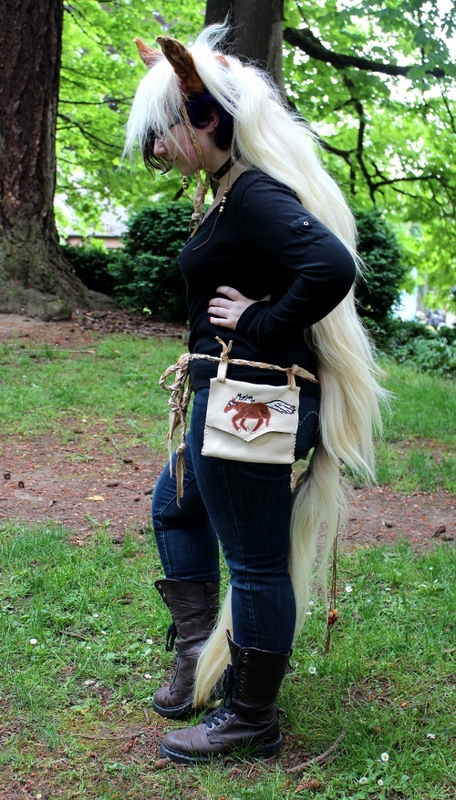 Sorrel Horse Mane and Tail Set. 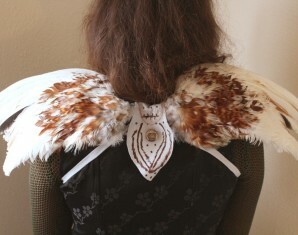 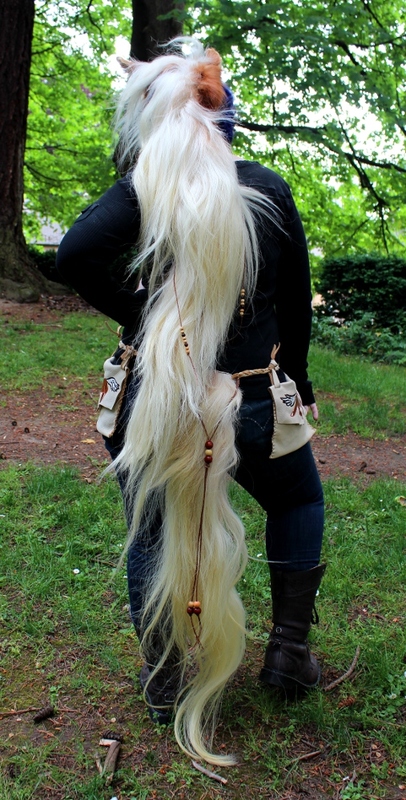 Here’s another one of my popular horse mane and tail sets, made from part of the hide from a large sorrel draft horse. 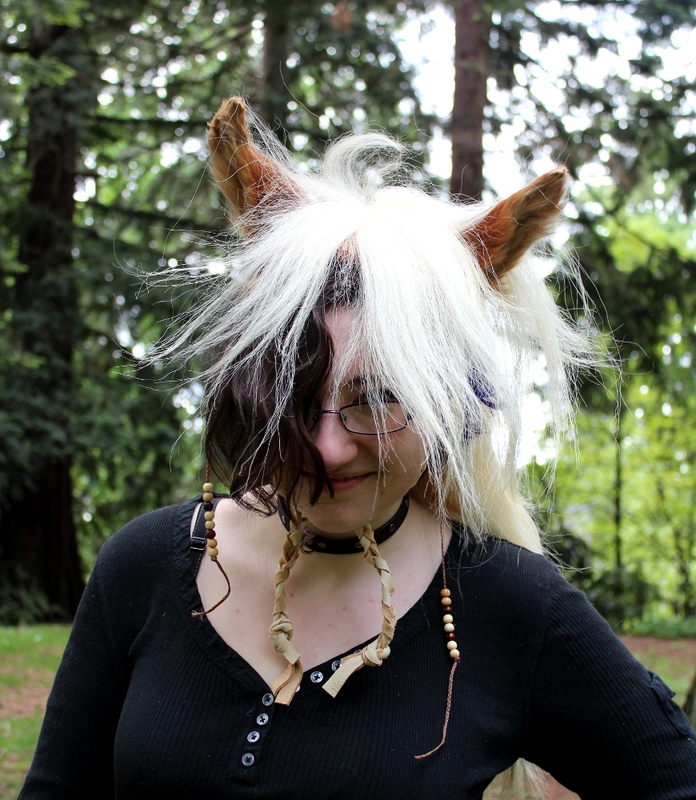 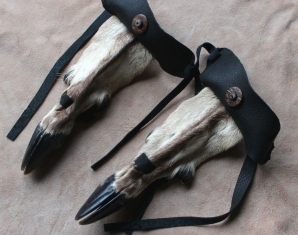 I reshaped the ears and brushed out the mane and tail, and made straps and a hand-braided belt out of supple cream-colored deerskin from a secondhand coat (you can see it’s had a bit of discoloration on one of the pouches). 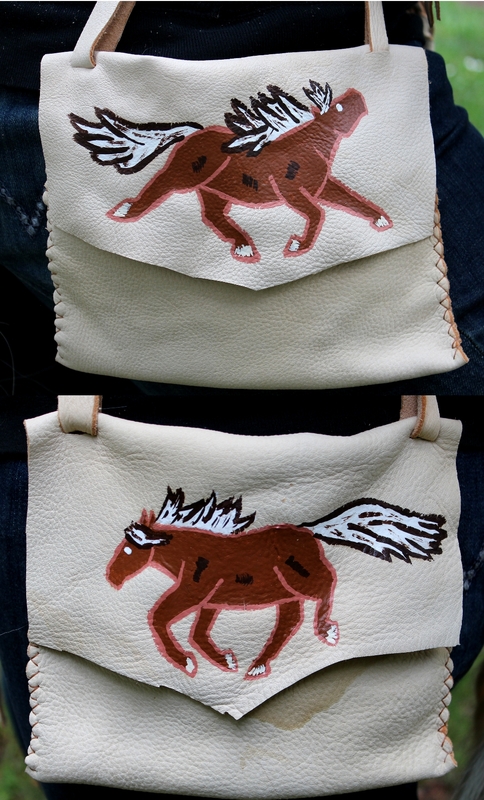 I then added deerskin belt pouches painted with sorrel horses in acrylics, and added braised artificial sinew tassels decorated with wood beads to the mane and tail.